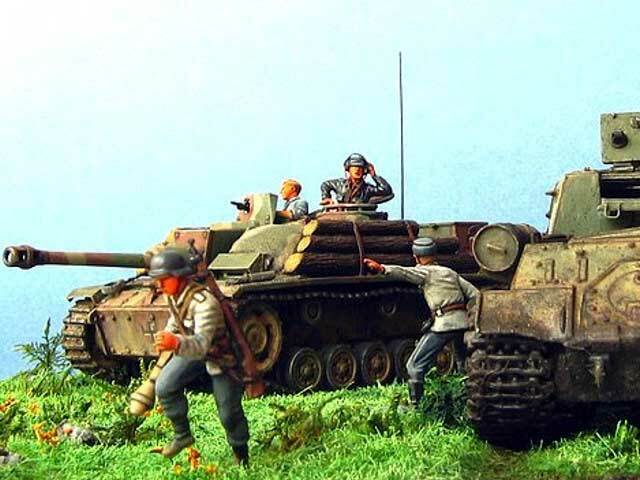 This is diorama about the battle of Tali-Ihantala, in the isthmus of Karelia, between Finnish and Soviets, during June-July 1944. 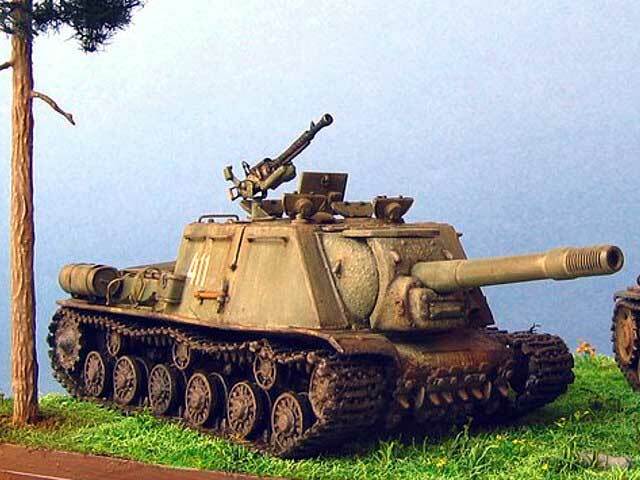 The Finnish army caused heavy losses in the Soviet army, often with panzefausts for example. 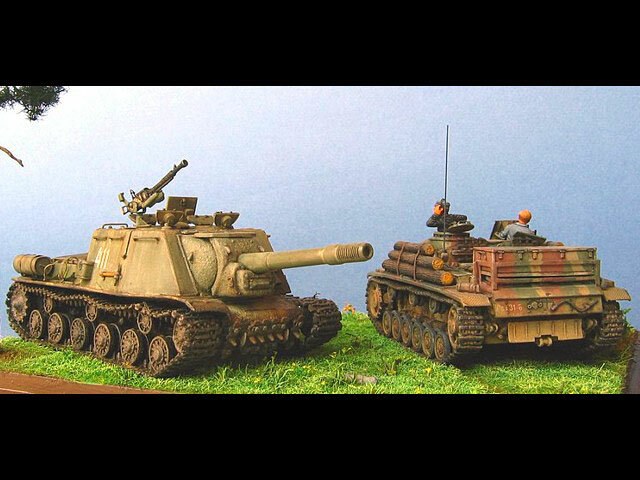 The Finnish Stugs destroyed most of the 80 Sviet tanks against 8 losses! 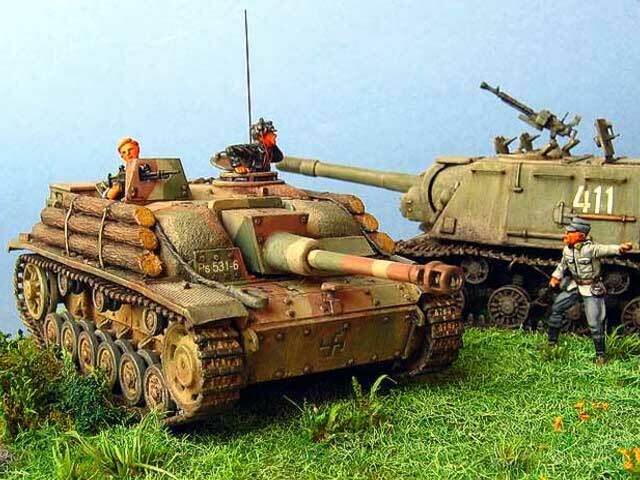 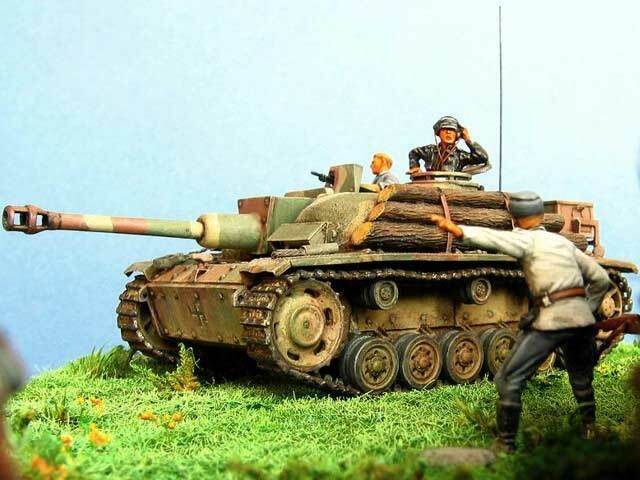 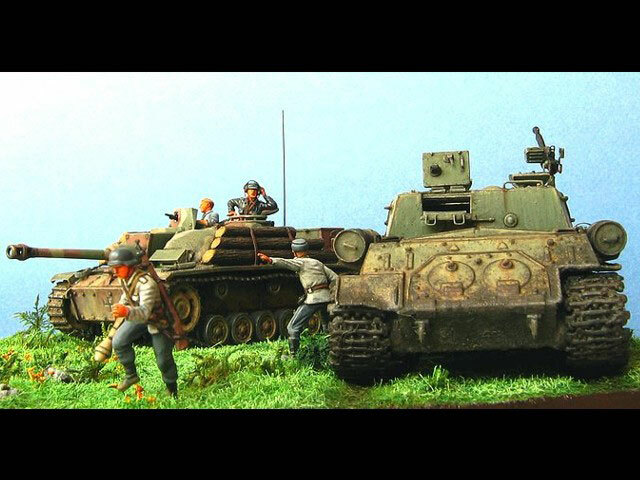 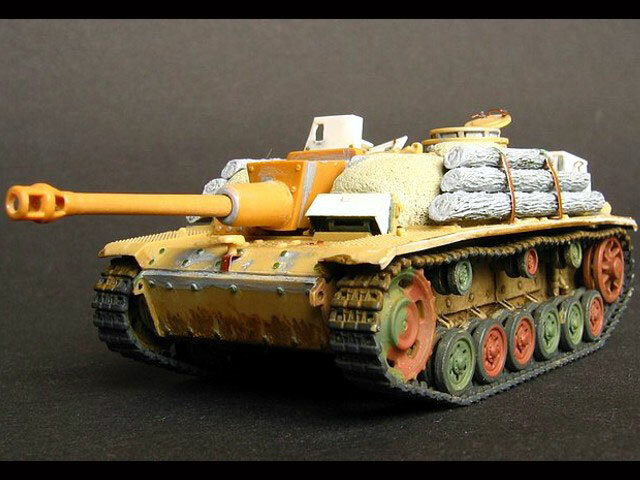 The Stug III ausf G called "Sturmi" in Finnish, came from Revell kit and a little Italeri pieces, with transformations like putty, cooper, plastic. 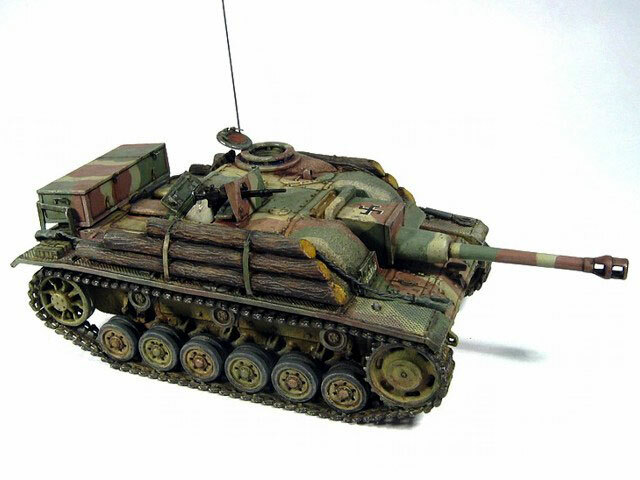 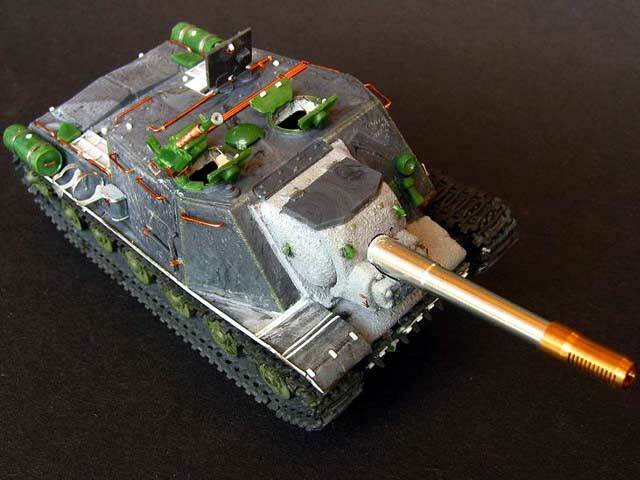 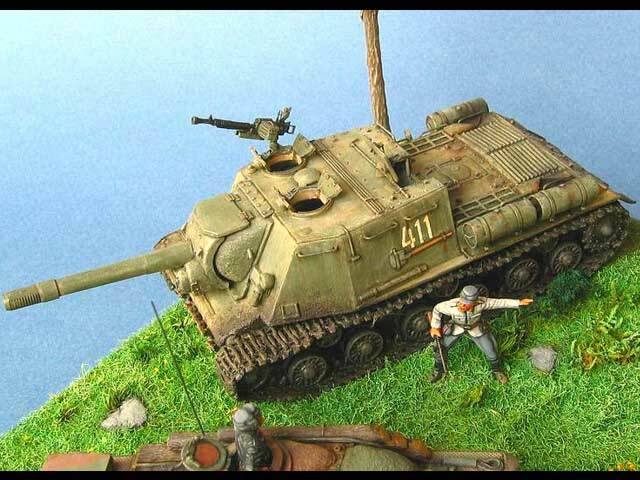 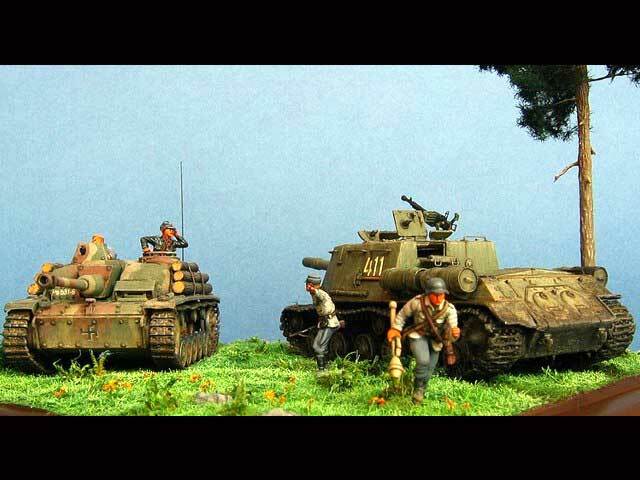 The JSU 152 is from PST kit, and I add also some material, like on the Stug. 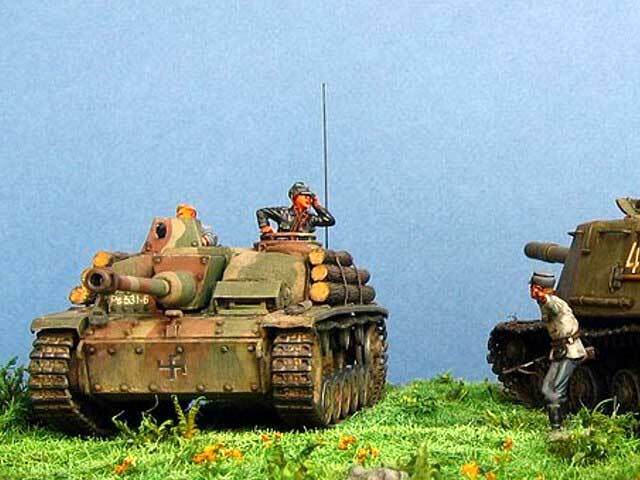 The 152 gun is an excellent accessories from Aber. 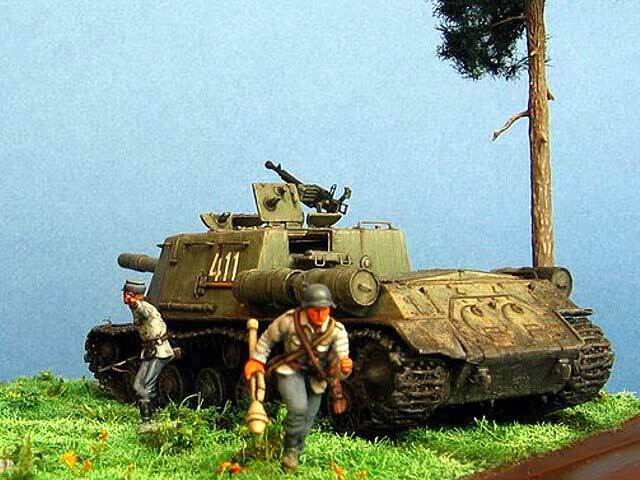 The Finnish soldiers are converted from Preiser figures, from modern US infantry and German WW2 tank crewmen. 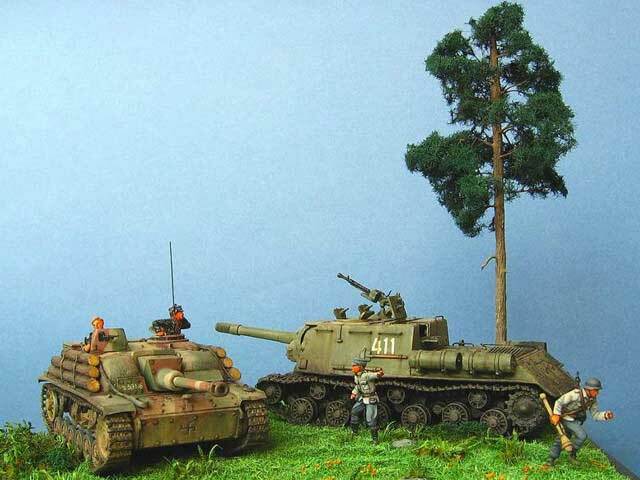 More about this diorama can be found in Minitracks New Formula 2 magazine!